One of the greatest artists of the twentieth century, Pablo Picasso, is the protagonist of an interesting exhibition at Palazzo Strozzi in Florence. 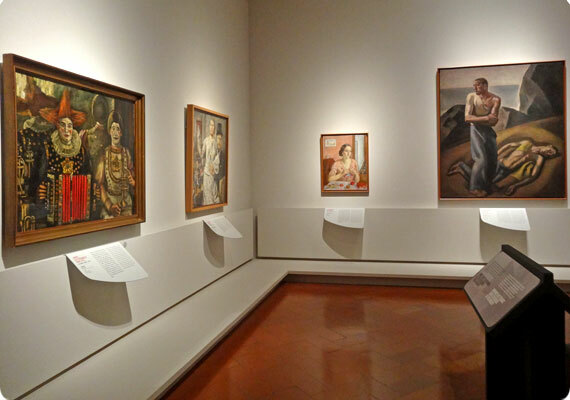 The exhibition, entitled “Picasso and Spanish Modernity”, offers the opportunity to see up close some significant works of Picasso and other Spanish contemporary artists associated with him, mostly from the famous Museo Nacional Centro de Arte Reina Sofia in Madrid. I had the opportunity to participate in a guided visit of the exhibition on the occasion of the blog tour #PabloalMercato and I must say that being in front of the works of Picasso cannot leave you indifferent, especially if you can set them into the historical, social and personal context where they were created. Visiting the exhibition with a guide certainly allowed me to appreciate it at its best, but thanks to the descriptions (in several languages, I might add) that accompany the various works you can understand all of the works even on your own, giving you more space to space out your visit according to your personal tastes and to the emotions they might evoke. In particular, two versions of “The Painter and the Model” (which you can see one above) open and close the show, which is a perfect way to express in a metaphor the creative process, which for Picasso was inspired by the love he also felt for them. 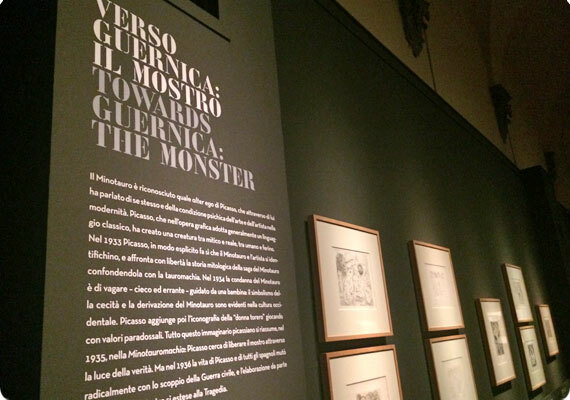 Following the exhibition, one of my favorite sections was the one devoted to the preparatory drawings of the famous Guernica, one of Picasso’s most iconic works linked to events of the Spanish Civil War. Moreover, on October 22 the exhibition will be enriched by a further sketch of Guernica called “The Horse Head”. 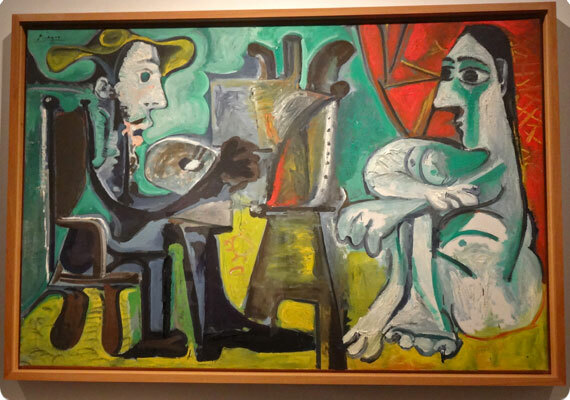 As already mentioned, the exhibition shows works of Picasso and several other Spanish artists. You will see several masterpieces of 20th century Spanish artists such as Joan Miro, Salvador Dali, Juan Gris, Marie Blanchard (considered the Iberian Frida Kahlo) and Julio Gonzalez, for a total of 90 incredible artworks. The exhibition at Palazzo Strozzi is open daily, including holidays, from 10 to 8pm (Thursday until 11pm) until 2015, January 25. For more information, you can visit the official website. Palazzo Strozzi and the Mercato Centrale in Florence, on the occasion of this exhibition, have an interesting partnership for both art lovers and gourmands. If you stop by the Infopoint on the first floor of the Central Market in San Lorenzo, you should ask for your 15% discount coupon to go see the Picasso exhibition in Palazzo Strozzi and a special map of the Market. Then, by showing the map at the ticket office of Palazzo Strozzi, you then get a free gadget from the Market. Not too complicated, right? It works out perfectly because after the visit to the exhibition, I would recommend in any case to go back to the Market, to pick up your gadget but more to take the time and eat. Among the many choices offered by the restaurant La Tosca and those of the 12 shops in the market – from fresh pasta, cheeses and fried Florentine dishes – you will have the difficult choice of deciding what to try!